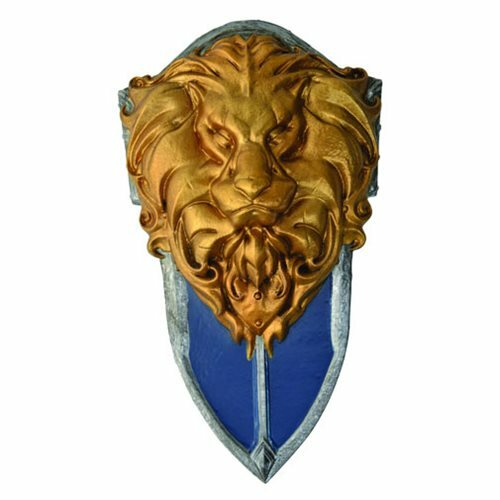 Shopping for Warcraft Phone Accessories? Get charged up with this Warcraft Stormwind Shield Power Bank! Designed and inspired from the film Warcraft, this power bank features premium sculpting and amazing paint details. This Stormwind Shield comes with a 3,360 mAh battery capacity, a dual-USB port, and an On/Off button with LED power indicator. It is compatible with any device using Micro USB or Apple lightning cords, including smart phones, tablets, digital cameras, portable speakers, Bluetooth headsets, and more. Measures about 6 3/4-inches long and comes with a USB charging cable.